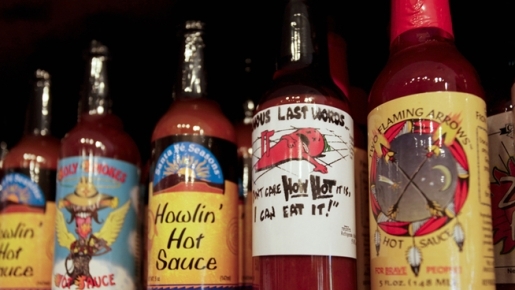 Hot sauce: it's food and punishment! Jessica Beagley had a plan. She was going to make it on the Phil McGraw’s popular daytime talk show, Dr. Phil, one way or another. When Dr. Phil ran an episode called “Mommy Confessions,” sure enough, Beagley was on the show. Beagley, a 36-year-old from Anchorage, Alaska who is married to a police officer, has two adopted 5-year-old Russian twin boys. One of them has adjusted fine to life in America; the other has not. Beagley video taped herself pouring hot sauce into her son’s mouth as a punishment, and now she faces a year in jail and a $10,000 fine. A year in jail, $10,000 in fines, and 10 years’ probation is the maximum sentence available according to District Court Judge David Wallace. Yesterday, Beagley was found guilty of abuse for the hot sauce stunt, which has become something of an international incident. When the episode aired last October, it caused an outcry in Russia and many Russians demanded the children be returned to their native country. Beagley maintains she turned to the burn of chili sauce when normal disciplinary methods didn’t work on the adopted child.